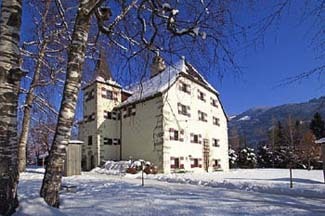 Schloss Prielau is first mentioned in documents dating back to 1425 as a hunting seat of the Archbishops of Salzburg. Some centuries and various owners later, the castle passed into the possession of Gerty von Hofmannsthal, widow of the Austrian poet Hugo von Hofmannsthal, librettist for Richard Strauss and a co-founder of the internationally renowned Salzburg Festival. The family left for England in 1938 and returned after World War II, but the castle remained unoccupied and in a state of disrepair. In 1987 the Porsche family acquired the castle, and after extensive restoration, Schloss Prielau was opened as an intimate luxury hotel. Zell am See is not far from the start of the most spectacular drive in Austria—the famous Grossglockner Road, a 50-km route that rises 2500 meters above sea level with dazzling glacier views. Back at the hotel, be aware that there is no elevator and some rooms are up a few floors. Always inquire if you have special needs. Zell am See is a main stop on the Salzburg-Innsbruck rail line. Yes. Small chapel on site. A turret, red-and-white striped shutters, sloped slate roof, and genuinely warm welcome meet you at the end of a graceful tree-lined drive. With more of a country-house than castle hotel feel, interiors are beautifully decorated with luxurious fabrics, antiques, and carved wood furniture. Husband-and-wife team, Anette Mayer (who oversees the hotel) and Andreas Mayer (who manages the highly regarded restaurant) have poured their hearts into creating a charming and intimate atmosphere.